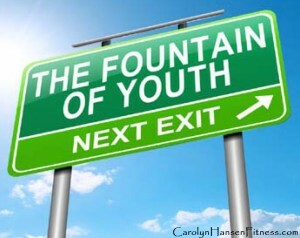 Are you still searching for that “magic potion” or “pill” that will help to restore your youth and vitality? Truth be known, many people want to slow down the aging process and preserve youthfulness but they look everywhere but inside themselves for the answers. Leading a sedentary lifestyle, one of inactivity affects the body clear down to the cellular level where its ability to transfer oxygen and nutrients from the bloodstream to cells is diminished. This is a condition that you do not want to find yourself in because if you cannot get enough oxygen out of your blood the quality of your entire life is negatively affected and your body attracts disease rather than repelling it. However, when your muscles are properly worked, the uptake of nutrients to your cells and tissues from the blood stream is aided. The blood gets pushed around the body quicker and the body’s cells get their dose of life-giving and enhancing nutrients and oxygen more often. Let’s get real, sitting around without partaking of any type of exercise encourages the body to decay and age at a premature accelerated rate and sets the stage for disease. On the other hand, activity that puts our muscular system to work forces the body to grow. Your brain receives the signal that reminds it to renew, repair and replace old worn out cells and tissues when your muscles are used as they were created for. Properly challenged muscles stimulate the release of hormones to work their magic, specifically, the “growth and repair” hormone (Human Growth Hormone) that spreads its goodness throughout the entire body, into every cell. The result is, you do not just get a “bit younger and a bit healthier” but a whole lot younger and a whole lot healthier. This boost in physical structure that stimulates growth and repair hormones improves the other body systems and processes and slows the aging process. 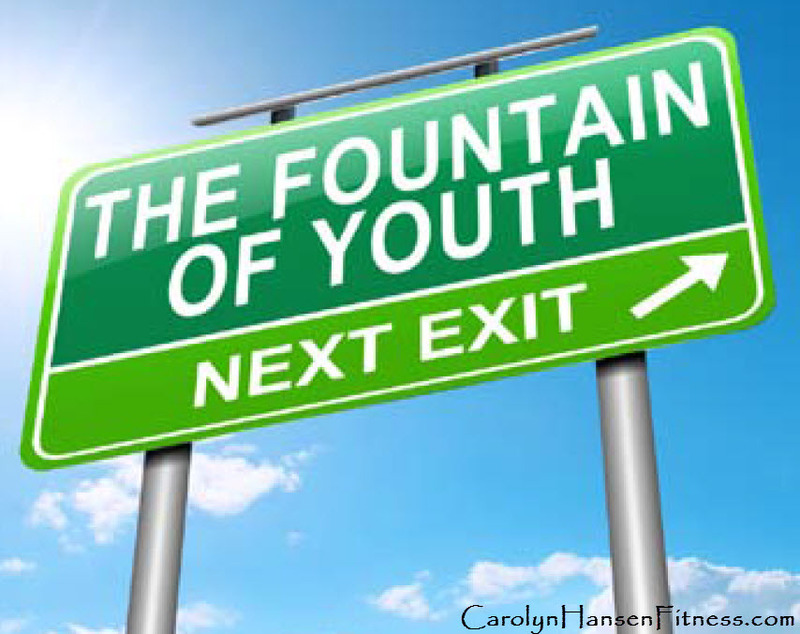 In fact, you could consider these hormones your “youth” hormones because without them, the opposite process takes place – the release of chemicals that whisper to your cells to decay, degenerate and die. Truth is, you already know in your heart that no doctor, surgical procedure or “pill popping” medicine will ever restore your youthfulness. Living in a strong, lean, healthy, youthful, feel-good body is something you are directly responsible for and something that only you can do for yourself. Muscles are mandatory…they are essential for maintaining a healthy, active metabolism and a younger body. They help prime a healthy immune system, stimulate fat burning and provide you with loads of energy and vitality for everyday tasks and those special occasions. But, the choice is yours…enjoy an active lifestyle that challenges your muscles and slows or even stops the aging process dead in its tracks or become/stay a “couch potato” and lead a sedentary life that in turn accelerates the pace of aging and opens the door to disease. No other activity has more impact on overall health and well-being than strength training. It gives strength to the weakened, energy to the lethargic, restores health to the diseased and youthfulness to those who thought it was gone forever. The equation is simple: the stronger you are in relation to your body mass, the healthier you are and the younger you appear.